official athletic footwear, apparel and accessory brand of the conference through the 2020-21 academic year. 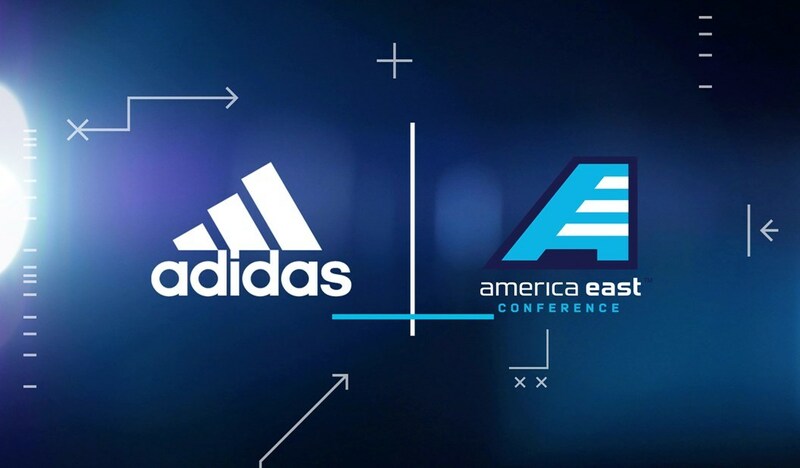 adidas joins the America East’s partnership line-up, which includes Baron Championship Rings, BookMyGroup, GEICO, Paramount & Co., Qualite Sports Lighting and Rawlings. The America East provides its member schools and their athletic programs a platform upon which student-athletes can achieve both collegiate and life success through the promotion and nurturing of athletic excellence,academic achievement and leadership, on and off the field. One of the most comprehensive Division I conferences in the country and is progressive in its approach to its more than 3,200 student-athletes. America East recognizes champions in each of its 18 sports and consists of members spanning from the Mid-Atlantic to Northeast regions of the United States including: University at Albany, Binghamton University, University of Hartford, University of Maine, UMBC, UMass Lowell, University of New Hampshire, Stony Brook University and University of Vermont. For more information, visit AmericaEast.com or follow the America East Conference on Twitter @AmericaEast. potential, and helps clients develop effective and powerful customized brand campaigns.